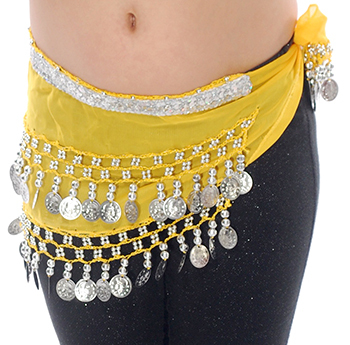 Your little princess will love making some noise with this adorable little hipscarf with beads and coins made especially for the youngest dancers. Fits ages approx. 3 to 6. Note: this is not a toy and recommended for children under 3 years old. Never leave children unattended when playing with this item. Your little princess will love making some noise with this adorable toddler hip scarf! 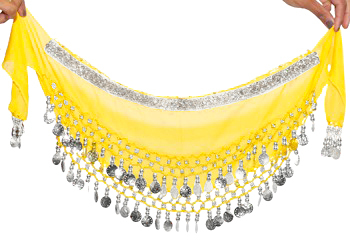 Featuring a beautiful silver holographic strip along the top, with beads and coins, this hip scarf is made especially for the youngest dancers. Note: this is not a toy and not recommended for children under three years old. Never leave children unattended when playing with this item.